So, this is my third sheet of silhouette sketches (Here’s a link to the first and second). This page contains a lot less as far as concepts, but I polished them up a little more than in the past, especially the mech, as you might have noticed. A quick note on Inktober; I did quit after the first 17/31 days, which is unfortunate, but I was able to take on more freelance work as a result. Unfortunately I can’t show any of it yet, except for this logo I did a couple months ago, which never quite made it onto the blog. I’ve been using it as a kind of example for others wanting prices and stuff when they come to me for a logo. And that’s about it. Remember to like if you liked and follow if you want to see more. Feel free to comment as well, I appreciate all feedback. I Did a bunch of thumbnail character silhouettes for fun. Basically I make a black blob, carve it out until I get a shape I like, then I add highlights and turn it into a character. So, I first had the idea of making a Jumping Monkey mascot, which is the stylized looking monkey guy in the sliding pose. He was a relatively easy drawing actually, but, regardless, I really like how it turned out. 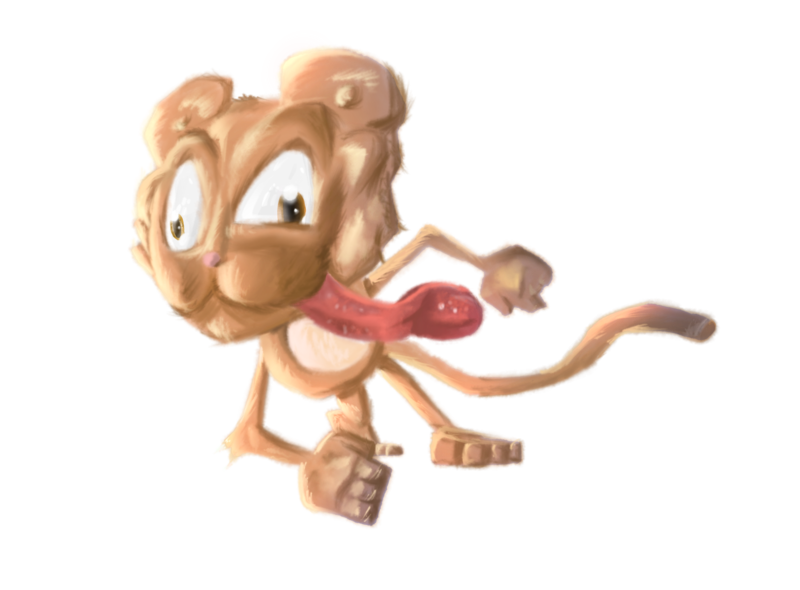 The second character I made, is the “realistic” cartoon monkey. Not as fun, but the result wasn’t too bad in my opinion either. However, I will admit he may have been a little rushed. 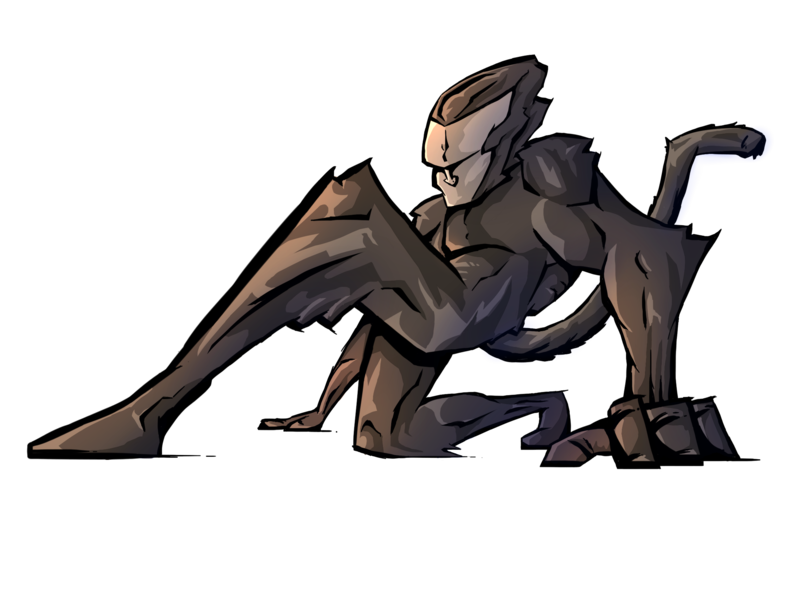 The third is a character of me in Interstellar Marines (A sci-fi fps game) armor. I have recently joined a clan (Pro Marine Core), and will be playing in the IM tournament soon, so I thought it would be a cool piece to have since I’m going to be a part of the community and such. This drawing took three days of on and off work to complete, and I really like the result. Also, look below for a Jumping Monkey character desktop background I put together. Including my Minecraft character. For more Daily Characters click here or you can just check out the rest of my site here. Iv’e been watching and studying speed painting for a couple days now and decided to give it a go. So, I spent most of the day making brushes, then recorded the painting. I’m semi-happy with the results. I definitely need more practice, and I plan on doing much more in the future. 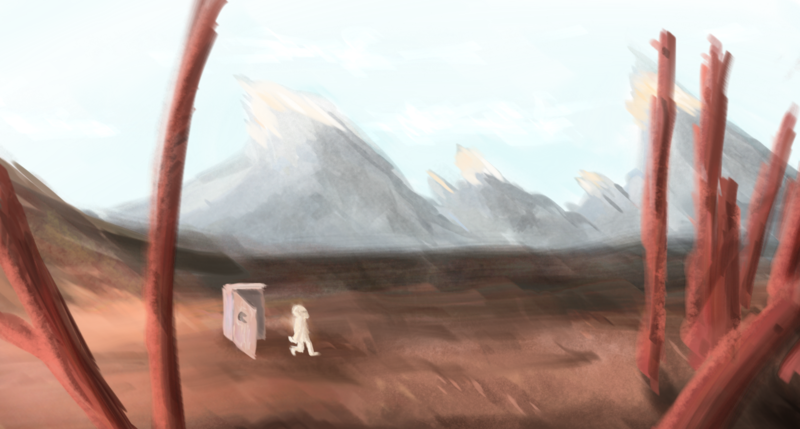 As for the time, it really wasn’t much of a speed painting. I was planning on doing half an hour at max, but it took me a little over an hour instead. Day 74- From the Sea, Beasts Awoke. 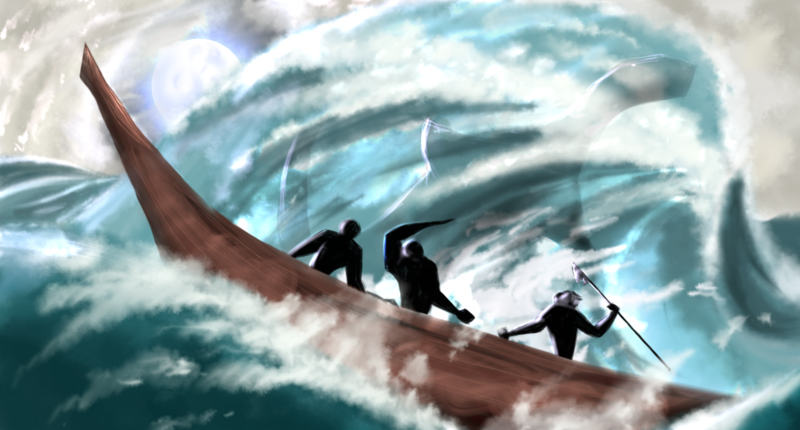 Alright, so, I painted this today from the prompt “From the sea, beasts awoke”, which was one of the options in the last poll. I’m still not too great at water, but I would say what I did here is acceptable. Also, I updated the front page of my site yesterday, along with a bunch of other pages. They should look a good deal nicer. I updated my video as well, which is linked to though a button on the front page. You can see it on my youtube channel here.